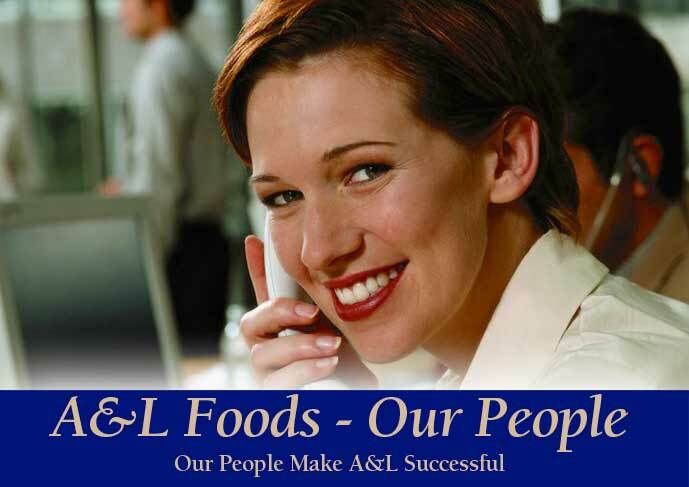 A&L Foods has provided quality foods to discerning customers for more than 70 years. Our success as a company depends upon delighting our customers. And our people make sure our customers stay happy; that is their first priority. After graduating from the American University in Washington, DC in 1983, Andrew worked for the Rouse Company of Columbia, MD, before entering into the family business. Becoming President of A&L Foods in 1992, Andrew has guided A&L through extensive expansion in recent years. Residing in Reisterstown, MD, Andrew is married with two daughters, a step-son, and a rambunctious yellow lab. Acquiring A&L Foods in 1952, Irving has been the leading force behind the company for decades. Now over 80 years old, Irv still works daily, calling on some of the same customers he did when he originally bought the business. Married for fifty years, Irv is a father of three children and seven grandchildren. Being active in the food service industry for 22 years, Shep has held employment as a prep cook and omelet chef to kitchen manager and general manager/partner of three restaurants. With an Associates degree in Culinary Arts from Johnson & Wales University. Shep joined the A&L Foods family in October of 1993. As Operations Director, Shep is involved with all aspects of the industry, from retail grocery to deli, plus the ever challenging area of transportation and distribution. Born and raised in Boston, MA, (which would explain his complete (misguided?) devotion to the Red Sox.) Shep is married with three children. For the past year Jean has worked for A&L Foods, Inc. doing bookkeeping, invoicing, and customer service. Her previous experience as a head teller for a local bank helped provide Jean with the experience needed with her current responsibilities. Stacey Hilbun came to A&L Foods in 2002. Originally from Miami Florida, Stacey grew up in Laurel, Maryland. Stacey started out in the food industry in 1988, with a brokerage company and then later worked for a food manufacturer/distributor and a broadline institutional food distributor. Moving away from the city, Stacey currently lives in Carroll County Maryland, where she enjoys the quiet life of the country. A graduate of THE Ohio State University, Mike has been with A&L Foods for over nine years. Mike specializes in all facets of chain and independent store sales and also restaurant/deli sales. In addition, Mike has been directing A&L's institutional vegan/organic program. Mike resides in North Potomac, is happily married, and a proud father of two children. Irv is a veteran of the specialty food industry, with over 40 years of experience. Presently living in Yardley, PA, Irv has led A&L's expansion in the Philadelphia metro. Married four times, Irv is a proud father of eight children and 29 grandchildren, Irv looks forward to his increasing role with A&L Foods. Currently residing in Pikesville, MD, Jamie has worked for A&L Foods since 1984. A graduate from the Villanova University in Philadelphia , Jamie has learned all facets of the business and is an integral part of the management team. With BS degree in business, Herb has spent 27 years in the food industry as a buyer, marketer, and salesman. The last 11 years with A&L Foods, Inc., Herb has been an important salesman servicing the local chain stores. Married with three children, Herb resides in Baltimore County. Sheldon is the longest tenured employee at A&L Foods. He started with A&L in the early 1970's as a warehouseman, but has spent the majority of his years as the lead driver for A&L. He is now one of two warehouse supervisors overseeing day-to-day activities.